Chinese patients have been enrolled in multiple Phase III trials of the poly(ADP-ribose) polymerase (PARP) inhibitor olaparib (Lynparza); however, the pharmacokinetic (PK) profile of olaparib has not been investigated in this population. 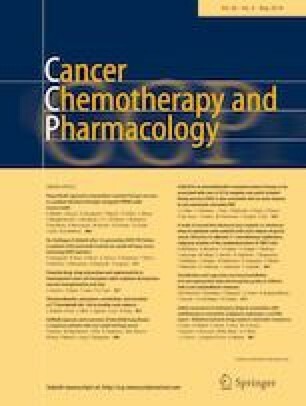 This two-part, open-label Phase I study was, therefore, carried out to determine the PK and safety profile of olaparib (tablet formulation) in Chinese patients with advanced solid tumours as monotherapy and in combination with paclitaxel (NCT02430311). The PK profile of olaparib 300 mg (twice daily [bid]; Cohort 1) as monotherapy after a single dose and at steady state, and 100 mg (bid; Cohort 2) as monotherapy (single dose and at steady state) and in combination (at steady state) with weekly paclitaxel (80 mg/m2) was assessed during Part A. Patients could continue to receive treatment (monotherapy, Cohort 1; combination therapy, Cohort 2) in Part B, which assessed safety and tolerability. Twenty and 16 patients were enrolled into Cohorts 1 and 2, respectively. Steady-state olaparib exposure increased slightly less than proportionally with increasing monotherapy dose and inter-patient variability was high. A statistically significant decrease in olaparib exposure was seen when given in combination with paclitaxel. Discontinuation due to adverse events (AEs) was rare and haematological AEs were more common in patients receiving combination treatment. The PK and safety profile of olaparib monotherapy in Chinese patients is consistent with that seen previously in Western and Japanese patients, and the recommended Phase III monotherapy tablet dose (300 mg bid) is suitable for use in this population. Kate Hsu is no longer employed by AstraZeneca. The online version of this article ( https://doi.org/10.1007/s00280-019-03799-1) contains supplementary material, which is available to authorized users. The authors would like to thank the patients who took part in the study and Khanh Bui for his contribution to the interpretation of the study data. This study was sponsored by AstraZeneca and the sponsor was involved in the study design, analysis and interpretation of data, revision of the article and in the decision to submit the article for publication. Medical writing assistance was provided by Elin Pyke, MChem from Mudskipper Business Ltd, funded by AstraZeneca and Merck & Co., Inc.
WB is employed by Covance Clinical Research Unit. KH was employed by AstraZeneca during manuscript development. ML is currently employed by AstraZeneca and owns stock. MZ is currently employed by AstraZeneca. All other authors report no conflicts of interest.